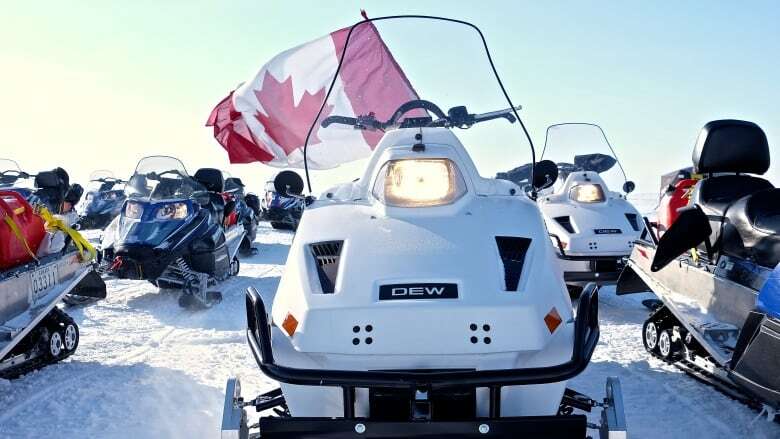 The D900 sits among a group of gasoline powered snowmobiles at the military's camp on Little Cornwallis Island. Two D900s are being tested on the tundra this week, while another 18 are undergoing tests in Yellowknife. (Garrett Hinchey/CBC)"It'd fall under endurance," said Thwaites. "You take a gas-powered snowmobile and go from point A to point B, you use 10 litres of fuel. You take a diesel-powered snowmobile from point A to point B, you use five litres. "We'll look at the whole snowmobile, but it's really gas versus diesel." The military first tested the D900 at last year's Operation Nunalivut, near the Nunavut hamlet of Cambridge Bay. Twenty of the machines are currently owned by the military, with the remaining number being used for tests and patrols in Yellowknife. While the Canadian Forces are optimistic about the D900, don't expect to be able to buy one any time soon — the vehicle is a prototype, and is not available for commercial sale. 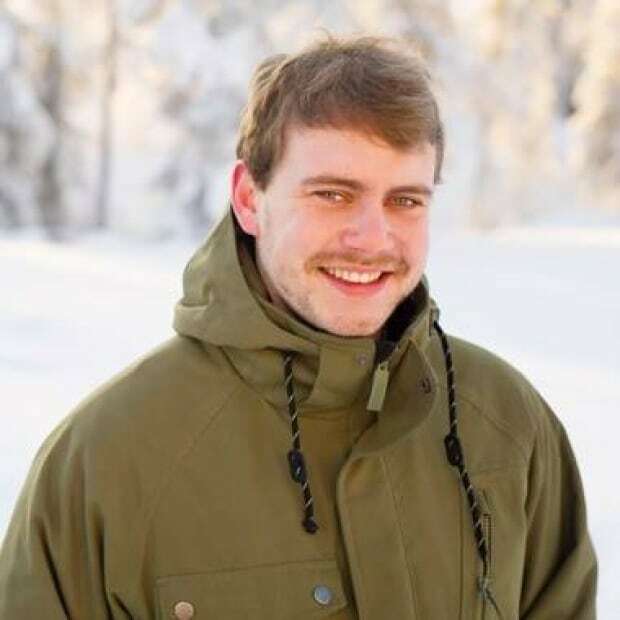 However, its unique capabilities could resonate in the Arctic for years. "From my understanding, when I chat with the guys, this is the first of a kind," said Capt. Jeremy Macdonald. "Quite possibly, the decisions, or the outcomes of this type of study, could last for a generation. Or at least a generation of military personnel using that equipment." The D900 isn't the only vehicle being tested in Resolute. Capt. 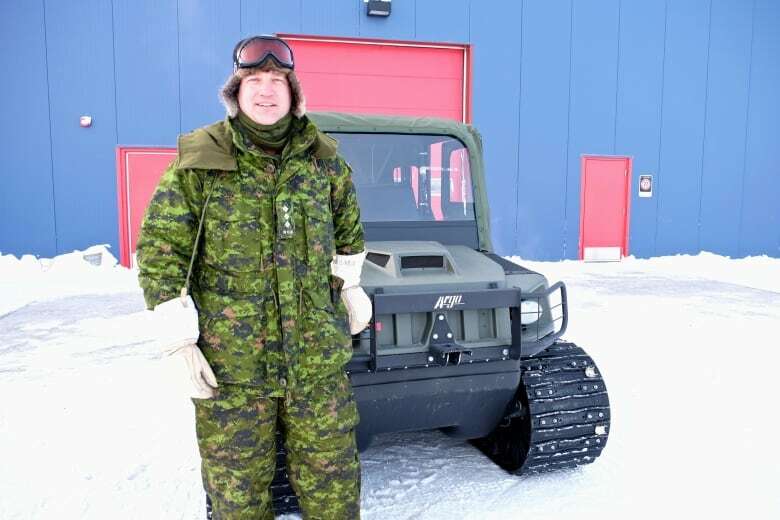 Macdonald is heading up tests of a militarized version of the Argo all-terrain vehicle, an amphibious machine that could assist with mobility during ice break-up season. The Canadian Forces have militarized the commercially-available Argo, adding treads and the capability to carry radio equipment or stretchers. 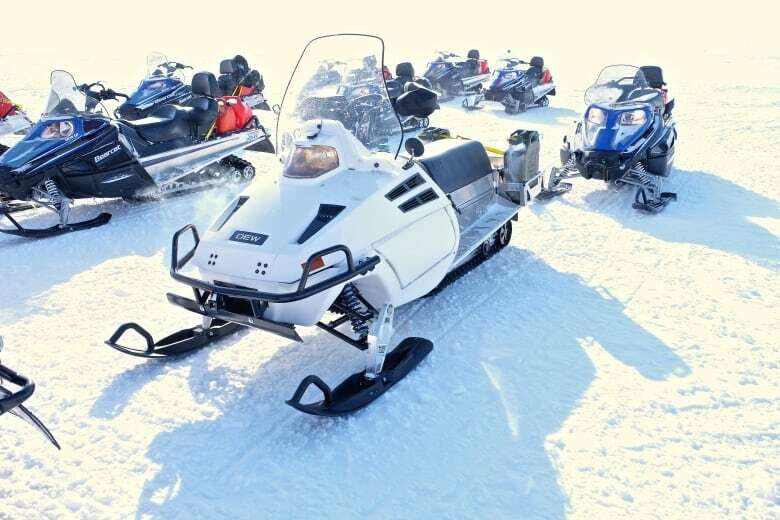 Though it moves much slower than a snowmobile — topping out at around 27 km/h — Capt. Macdonald says its ability to shelter riders and equipment, as well as its mobility could make it useful for Arctic operations. "This is a very unique vehicle," he said. "It's got some great mobility, can traverse across a variety of terrain that not many vehicles can. It's not a speedy vehicle. But it'll get you there." Capt. Macdonald acknowledged that the Argo's speed remains a potential concern, as well as its durability — its plastic door handles couldn't stand up to Resolute's frigid temperatures. However, he underlined that these types of tests — and the feedback they generate — are important to determine what works in the punishing conditions of Canada's Arctic. "For us, it's a very exciting time to get our hands on what the future could hold for the army," he said, "and see what works in the North."